ADD: Oriental Center Building, No. 100, Shangdu Road, Zhengzhou City, Henan Province, China. 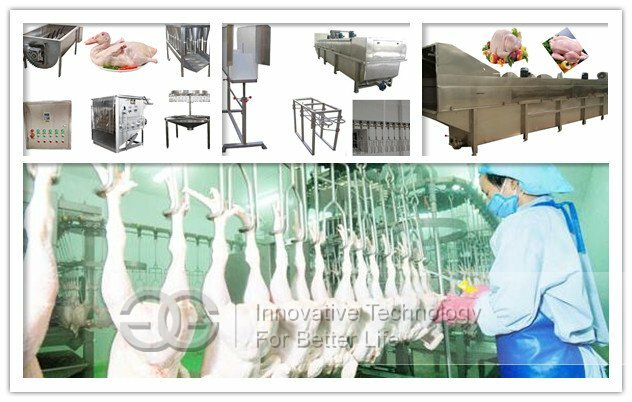 The Poultry Slaughtering Machine Line is used to slaughter all kinds of poultry: Chicken, duck, goose, or other kinds of birds like quail. 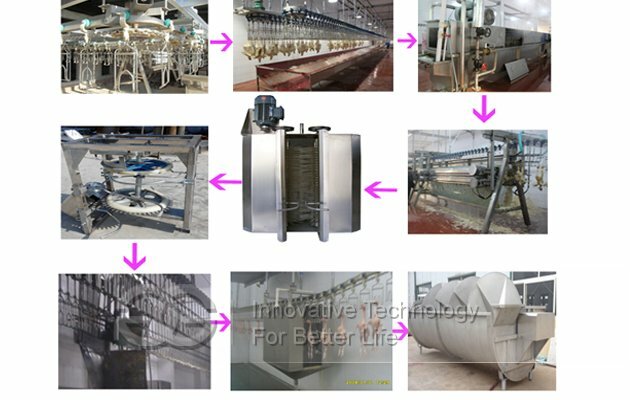 All the machine in the production line are made of stainless steel. The production line can be designed according customers’ demands. 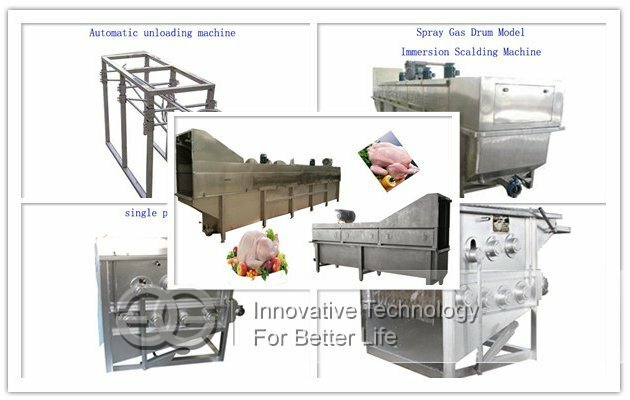 The semi-automatic production line include Scalding pot,Small plucker,Control panel,Bloodletting table and Eviscerating table. 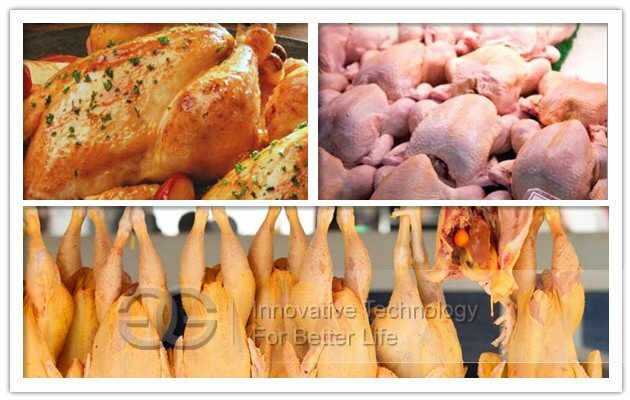 it is specially for small slaughtering factory. 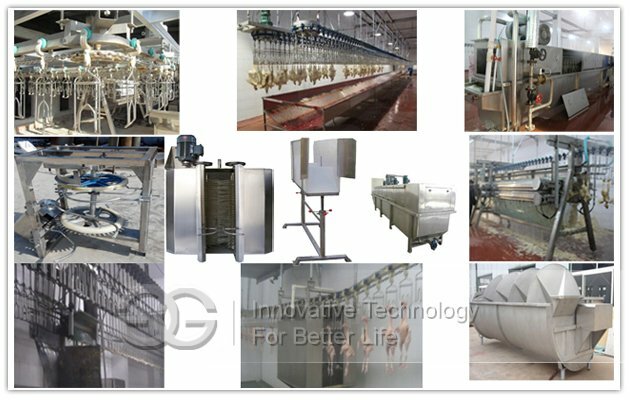 The automatic production line include the Slaughter line,Main transmission tensioning device,Electrical control tank,Groove for Blood,Scalding machine and Defeatherer Machine. 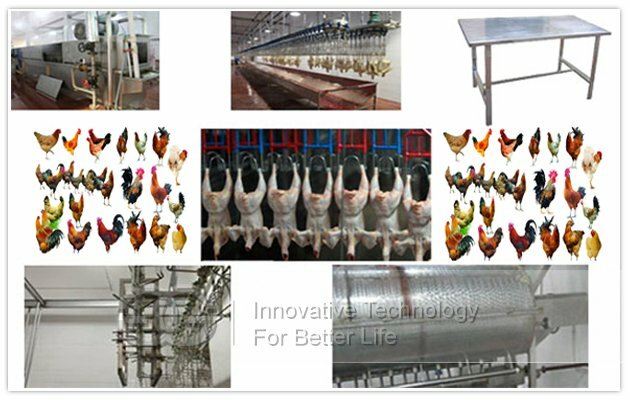 The working process is slaughtering--bloodletting--scald--defeatherer--eviscerate, then the poultry is processed well. Thank you for visiting our site! Please feel free to submit this form with any questions or comments. We will answer your message within 24 hours.